“Even the sky and the earth have their limits, only lovers' yearning would linger on and never break.”Ultima Thule in Hainan has always been regarded as a symbol of good love and is the heaven that countless lovers are yearning for. 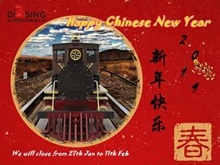 Take the Dising mini train to happily walk through the “ends of the earth”for you and him and to bloom the buds of love. 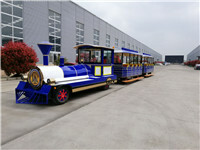 The customized sightseeing train in this scenic spot is a retro track sightseeing train. 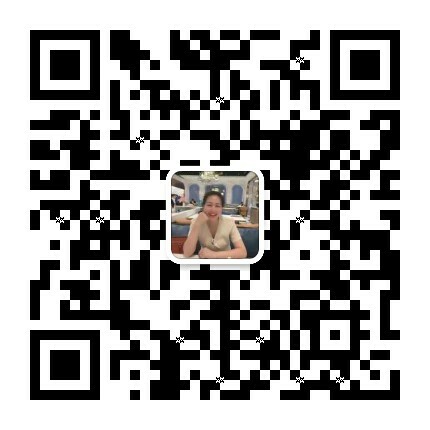 The track of the train has been further improved on the basis of the original. 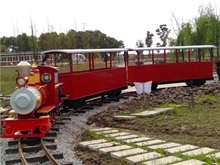 The train uses four-drive devices to change the phenomenon where single-axis drive train seen in the previous playground can easily slip .Improve the stability of the train on the slippery section and the train's controllability and safety are significantly improved. The train has three different track distances of 762, 900 or 1435 mm to meet the diverse needs of customers. 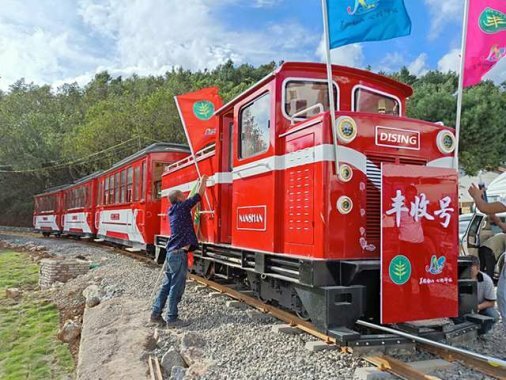 This sightseeing train has a wide spatial layout consisting of a locomotive plus a coal-water tanker plus three carriages and can carry 120 people, In normal driving, the speed is 10 kilometers per hour. The max limit slope is 30‰ and the restriction curve radius is 30 meters proving that the mini train has high maneuverability and strong ability to pass obstacles and can adapt to most road conditions. Its Power is made up of diesel genset ensuring strong output power.